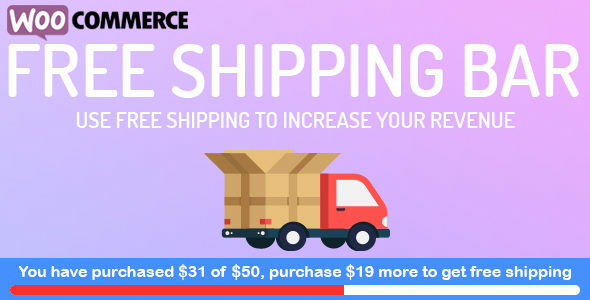 Make Instagram Shop, sync pictures from Instagram to your WooCommerce store. Create beautiful lookbooks of your products then display it as slides. Help customers imagine how will your products look like in reality. 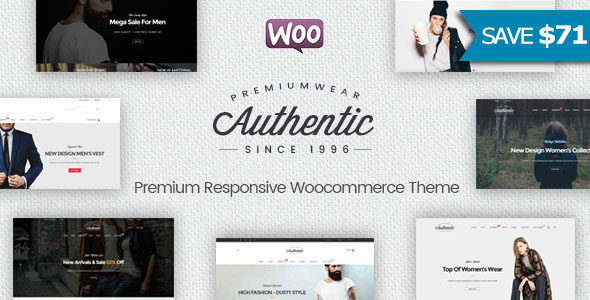 WooCommerce Lookbook allows you to create realistic lookbooks of your products. Your customers can buy products from Instagram images or any images. Help your customers visualize your products. 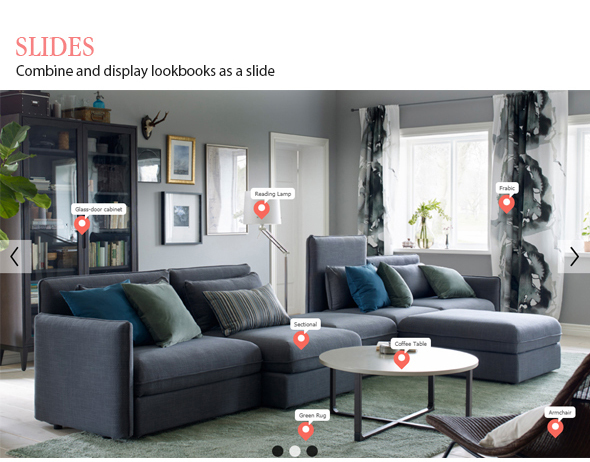 Create Lookbooks: Create Lookbooks by using nodes to mark products position on photos. 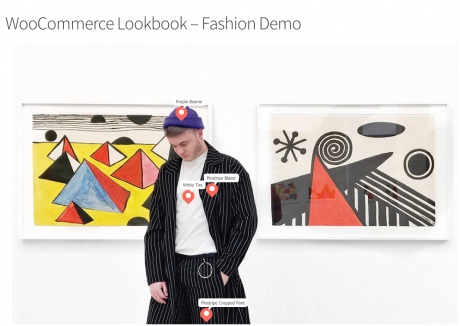 By click on nodes, customers can see products information with name, short description, price… Customers will also be able to add products to cart from Lookbooks. 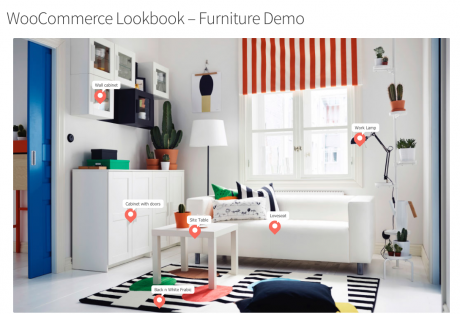 Add node: Adding unlimited nodes and drag and drop it to mark product positions on Lookbooks. Drag and drop: Easy to select node position by using drag and drop feature. Hold mouse over nodes and move it to the product position on pictures. 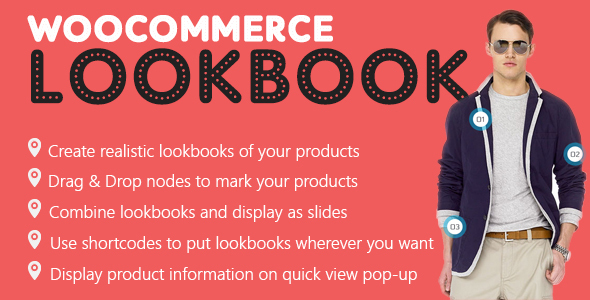 Slides: You can combine lookbooks and display it on front-end as a slide. Autoplay: Automatical plays the slide with a specified auto-move duration. Autoplay duration: Select a specified time to move to the next lookbook with autoplay slides option. Lookbooks in single product page: Automatical finds lookbooks that include the product and displays that lookbook in the product description. Link Redirect: If this option is enabled, clicking on a node will redirect to the single product page. 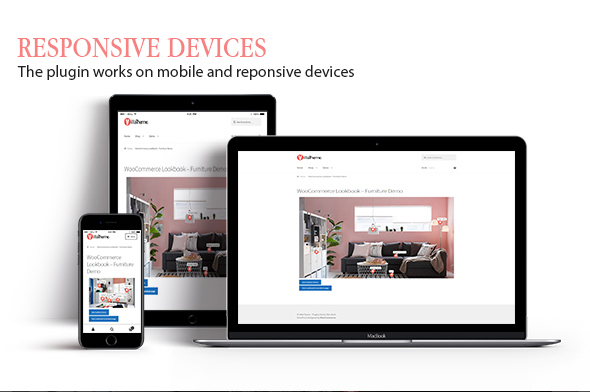 External Link: An option for External/Affiliate products, clicking on a node will redirect to the external link instead of the single product page. Shortcodes: Use shortcodes to put lookbook anywhere you want on your sites. Quickview: By click on nodes, customers will open a QuickView popup. 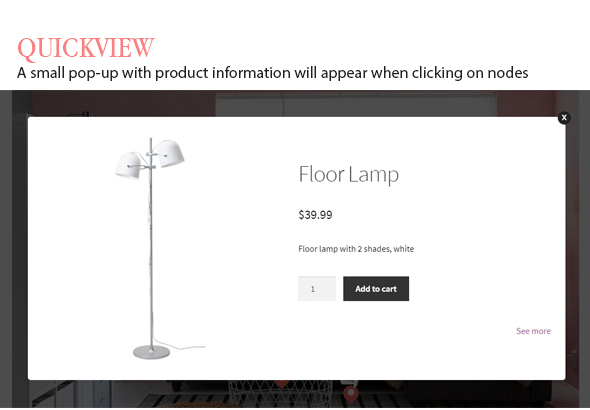 The QuickView popup provides them the product name, short description, price. Add to Cart: There is also an Add to Cart button on the QuickView popup, allowing customers to select a quantity and add the product to cart. 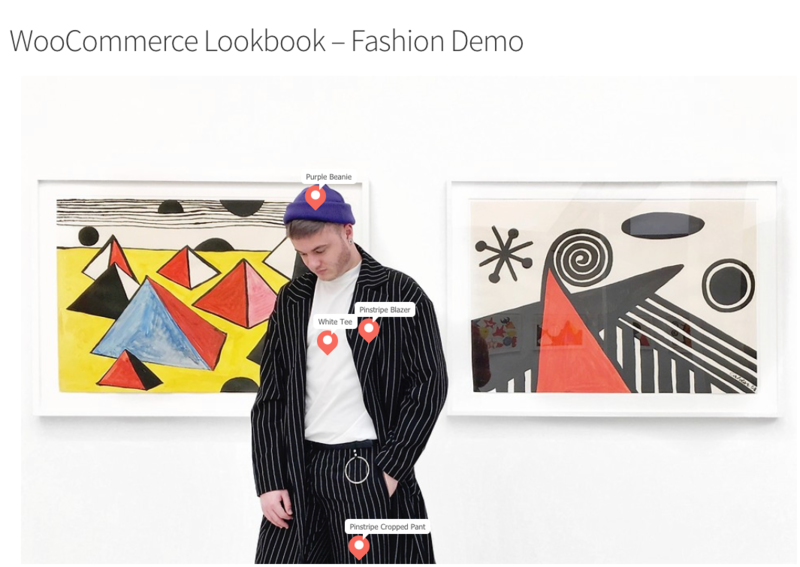 Shop by Instagram: Sync published pictures from any Instagram account to your WooCommerce Lookbook and using it to create lookbooks, slides. Enter an Instagram username to sync pictures from that account to WooCommerce Lookbook. You will be able to sync 12 pictures at one time. Link to Instagram: Enable “View on Instagram” button on the Quickview popup, the button will lead to the original Instagram page which you used to create the Lookbook. Carousel/Gallery display: Display Instagram lookbooks on the frontend in Carousel or Gallery style. Instagram sync schedule time: Let the plugin automatically sync photo from Instagram. Instagram synced picture status: Select visible status for lookbook synced from Instagram pending, publish or a draft. Image Quantity: Select how many images will be synced from Instagram. Node Icon: Select your favorite node icon with four options default, number, marker, alphabet. Product title: Choose to display or hide the product titles above the nodes on Lookbooks. 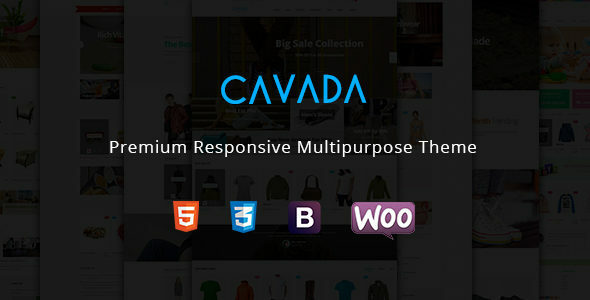 Title color: Design product titles color with text color and background color. Quickview pop-up design: Design QuickView popup with text color, background color, border-radius. Close button: Select to display or hide the Close button on Quickview popup. See more button: Select to display or hide the see more button on Quickview popup. The see more button will lead to the single product page. Slide size: Customize the slide size with width and height. Slide Pagination/Navigation: Enable or disable the slide pagination/navigation on the frontend. Custom Script: Add your own CSS code to fully customize lookbook as you want. Loading Icon: Select your favorite loading icon with ten available icons to be selected. Support RTL: support Right to Left website fully. Auto-update: Using Envato purchase code to enable the auto-update feature. 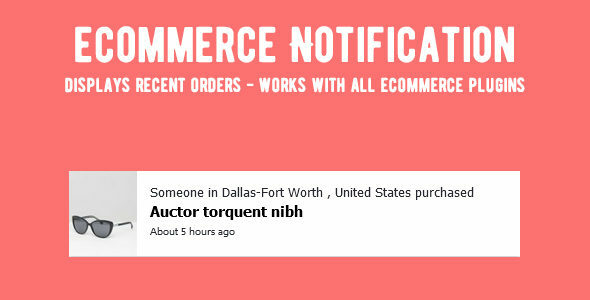 Each purchase code can be used to active auto-update for one domain. Using shortcode to display lookbooks on front-ends as a single lookbook image, gallery, carousel.